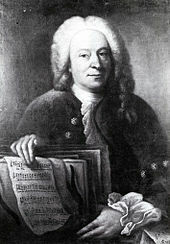 Samtliche Motetten : fur 4- bis 8-stimmigen Chor und Basso continuo composed by Johann Christoph Bach. Edited by Erhard Franke. For 4 to 8-part choir and basso continuo. Choral music. Score. Language: German. Published by Noten Roehr (NR.10267). This entry was posted in Bach, Johann Christoph (1642-1703) and tagged German, Lamentations, Lamentations 5, Lamentations 5:15, Lamentations 5:16, sheetmusicplus, YouTube by John. Bookmark the permalink.